It has all come down to tonight. Well, in the sense that our old life ends and new life begins tonight. Eight months of preparations, miminalizing our possessions, renting out the house, selling the van, lots of prayer, telling our story over and over and over… getting visas, passports, international drivers permits… starting and sustaining this blog, and lots more prayer, ending my job, healing relationships, beginning new relationships. What an amazing past year. We’ve grown so much, learned so much, loved so much. 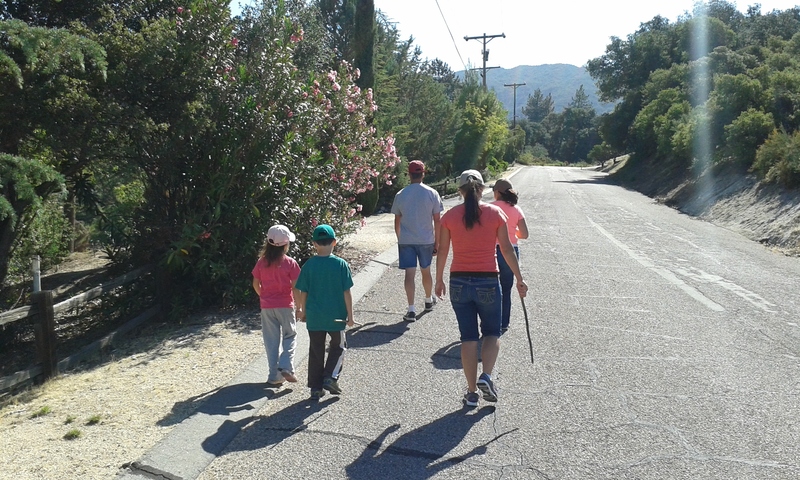 The family hike in Warner Springs. Much drier than in Thailand. The past three days has seen many heartfelt goodbyes. We saw my parents. They made us our favorite food and spent some much needed time with us. They will be missed so much. Thank God for Skype. We spent Friday night with Shannon’s mother and father-in-law, took a hike in Warner Springs. Drove back to San Diego and spent the night with the Magee family: probably the most influential family in my family’s life. We would not be the people we are without them. This morning was our last day at our church, Dwell. Today was a chance for people to share their testimonies of how God has moved in their lives. Our whole journey has been a testimony of God’s love and grace in our own lives. And these testimonies will only grow in number and greatness as we continue this journey in the Good Life. 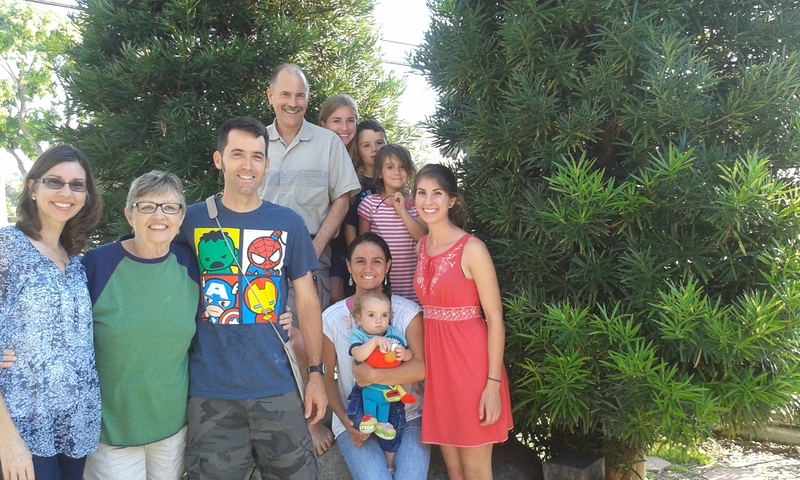 Farewell Magee Clan. Thank you so much. My family and I are sitting in the LAX terminal outside of Gate 148. Our flight will begin boarding in 1.5 hours. I can’t begin to summarize all the things that got us this far. But if I had to summarize it into a lesson, if there is any wisdom I have gained, it is this: Obedience has its reward. We didn’t know where we would be going two and half years ago when our oldest son said he heard God telling him that we were supposed to go to another country and tell them about Jesus. But we took that call seriously and prayed about it. We took some trips to LA and SF. Eventually, I went to Thailand and fell in love with the country and the ministry of The Charis Project. Every step was really very clear for us. Some steps were easy, some were difficult and intimidating. But no matter what kind of step it was, the point was to take the step. We obeyed what we were told to do and now we’re sitting in a terminal waiting for a new life to begin. Obedience has its reward. This Good Life has cost us. It has meant us giving up our easy life, our assurance of a regular income and our family and friends (being close enough to touch). But, as I said in an earlier post, we seek a life that is not of this world, but, rather, is eternal, full of joy, love and life. Please don’t mistake me: you can get this in the US or anywhere else. For our family though, it’s Thailand and the Charis Project. 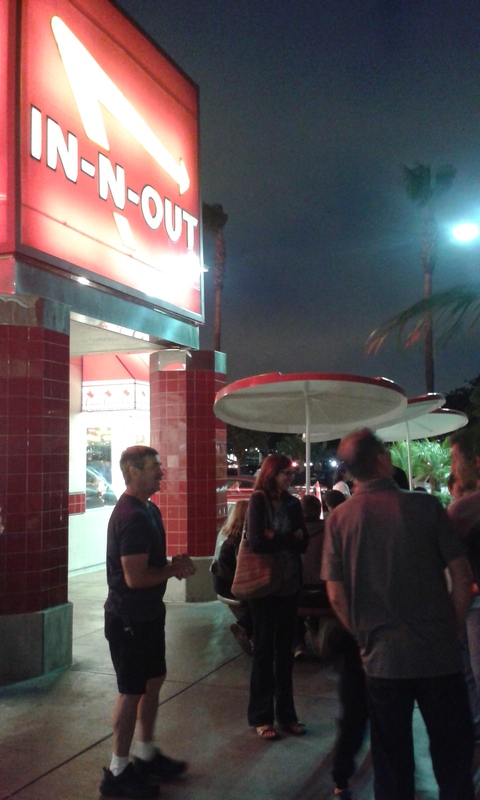 Goodbye In-N-Out… we’ll try to get by somehow. Many have been reading this blog for the past 8 months. We love that you have been enjoying and taking part in our journey. For some, it’s a way to get a different perspective. For some, it’s a way to connect to something beyond their own life. For those of you who see this as an opportunity to partner with us though, we invite you to support us financially. This is your chance to make some real change in this world. To be sure, we will be having an amazing time in Thailand, but we will be working. The work we do will be to set the prisoners free, bring light to those walking in darkness and hope to the broken-hearted. To partner with us financially, please click here. To all our family, friends and those who follow our blog, thank you for your support and encouragement. We couldn’t possibly do this without you. We’ll see you on the other side (of the Pacific). Many more blogs to come! Farewell. Reblogged this on A Happy Mind Shift.